This year’s ComicFest event was a huge success, with over 1300 attendees on the day! Thanks to all that came along, and if you couldn’t make it, podcasts of the panel discussions will be available online soon. Until then, you can enjoy the last of our 5 minutes with interviews with our guests! A: We had a lot of Tintin books in my house as a child. And when my dad would read to us (chapter books mostly) I’d draw the scenes and characters. Then I brought a graphic novel of the Hobbit and realised I could be doing this myself. So I did. A: Sadly an average day isn’t necessarily comics related, but it is always about stories! The week is usually about webseries, and the weekend is hopefully about comics. So I’ll chat to my flatmates, answer emails, edit a script or a video, drink tea, stare at the script with a feeling of doom, tidy (because I need to “think”), actually finish the script (because it turns out I haven’t forgotten what words are). Storyboard a loose comic, then get to drawing! (Yay!) I’ll do a couple of warm-up drawings, sketch out several pages, ink, scan, maybe colour or just tidy up the image. Maybe I’ll have a meeting in the evening. Then I might play Mah Jong with my flatmates or we’ll dance to musical numbers while we make dinner. A: Going for a walk before I start working, so my brain feels alive. Putting on a wash first thing. Lots of tea. Listening to music while I ink. But when I really get into the work it’ll be midnight before I think to check the time. A: Chris Riddell, Shakespeare, fairy tales and the opinion of my younger sister. As well as Dylan Horrocks and Tim Bollinger. A: I always go back to Toby Morris’ Alledaags: a year in Amsterdam and Katie O’Neill is excellent in every way. A: Whenever I read a really good fantasy novel I always imagine I’d make an excellent comic. So, if ever JK Rowling or Patrick Rothfuss suddenly, oddly wanted a New Zealand comic version of their works I’d be keen. Basically I’d love to explore a fantasy world, or just do a good adaptation of Hamlet. A: I’m keen to have a big ol’ chat about what everyone’s favourite comics are. But also excited to talk visual storytelling across media, and I always have a few Shakespeare facts up my sleeve. A: Comic book character would be Black Jack by Tezuka. Or Kvothe from The Name of the Wind. You can find Sally’s work online in a number of places! Hamlet webseries/webcomic pilot: on YouTube! ComicFest is back for 2017! On Saturday May 6th at the Central Library there will be panels and workshops all day long for comic-lovers of all ages. You can also pick up a free comic from us on the day and celebrate Free Comic Book Day, courtesy of GRAPHIC! Head over to the ComicFest Facebook event for all the details, and to receive event updates. Giselle Clarkson is a Wellington-based freelance illustrator who is also interested in tramping, growing veggies and making music. 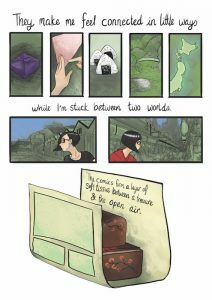 She currently has a monthly comic being published by NZ website The Sapling, often featuring the influence of books on her as an illustrator. 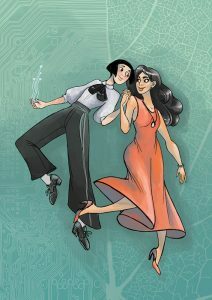 At ComicFest Giselle will be on our A Wellington View – Local Cartoonists panel along with Jem Yoshioka and Sally Bollinger, moderated by Robyn Kenealy. 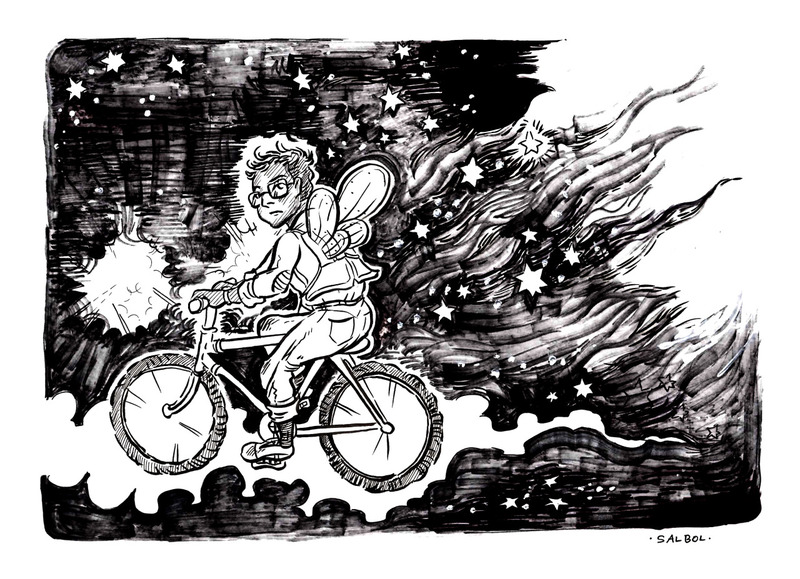 Come along to get an idea what it’s like to be making comics in NZ’s capital city! A: There were lots of comics/cartoons on the bookshelves when I was a kid – Tintin, Asterix, The Far Side, Raymond Briggs, Spike Milligan, Rupert Bear – all things that had belonged to my parents or older brother. I loved reading them but it never occurred to me that they were a thing I could ask for more of. 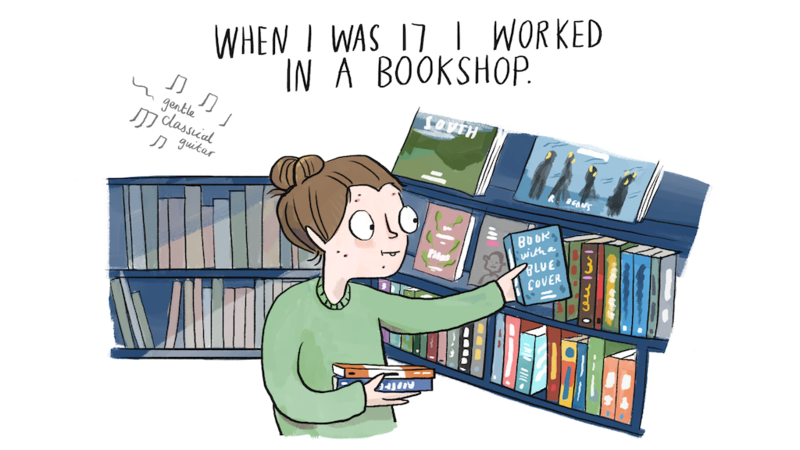 It wasn’t until I was 16 or 17 and discovered webcomics that I realised what the possibilities were! But after that it was years before I started really making and sharing comics myself. A: I work freelance from home – I wake up early, make coffee, drink it at my desk, fluff around online for at least an hour and then start work. I like to take my breaks in the garden – poking around for interesting insects or something edible. I love working in my pyjamas and having a flexible schedule, but I’m often working late at night and weekends don’t really exist. Going into town for a meeting is pretty exciting for me! A: I visited the New Zealand subantarctic islands last year and I’ve been making science communication comics about all the amazing stuff down there and the environmental threats the region is facing. Travelling on a ship for 19 days with a fairly small group of people was a pretty incredible – in a positive way! – experience in itself so I plan on telling a story about that too. 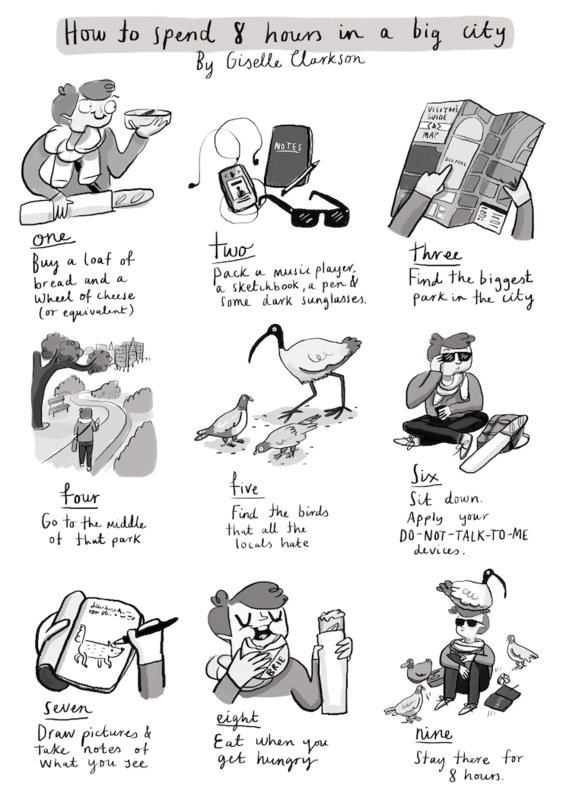 I’m also doing a regular comic about picture books for kids’ literature website The Sapling. Coming up with a good comic idea every month is not easy – I am in total awe of people who do it every day, or every week! A: When I’m writing or plotting I need silence, or I have a fan going to make white noise. When I’m tidying up my line art or colouring it in I go into a sort of auto-pilot mode and if I don’t have something interesting to listen to and keep my mind focused I go absolutely spare with distraction. So I use podcasts to fix that problem. A: The NZ outdoors and the need to protect what we’ve got here. I’m really in love with all our wild places. And people I meet, there are so many genuinely brilliant characters out there. A: Tagging along on scientific expeditions to remote places, drawing and writing about the environment, the science, the people and my experiences. A: Hilda from Luke Pearson’s comic series! She always looks comfortable. A: I’ve always loved drawing – as a kid it was always a really nice way to get lost in my thoughts and feelings and imagination… it still is, actually. I’ve always loved words and pictures together – kids books by Babette Cole, and all of the Where’s Wally books would keep me entertained for hours. But it wasn’t until I was coming out in my late teens , when I went in search of representations of queer characters, that the power of comics (and in particular webcomics) became apparent. I was trying to find people like me, people I could relate to, and people who made me feel less alone. Up until that point I had been a total TV and Film nerd, but all the representations of of LGBT folk, at that time, were all pretty negative. But on the internet I found amazing queer webcomics by people like Paige Braddock, Kris Dresen and Erika Moen, and it opened up a whole new world for me. A: Well, I work part-time as a comic artist, and part-time as a personal assistant for a guy who runs an organisation in the accessibility/disability sector. So in any given week I’ll be balancing working for my boss, and finding time to draw. Both roles work really well for me, I often get to be part of really interesting conversations in my PA role, and that helps me to think about topics I want to draw comics about. There’s a nice balance of a quite social PA role, and my solitary drawing role. A: At the moment my big project is finishing up a children’s book I’ve co-authored, which is being published by Flamingo Rampant (http://www.flamingorampant.com) . Flamingo Rampant is an independent book publisher who published feminist, racially diverse, LGBTQ-positive books , and I’m so excited to be working with them! Our book is a counting book about a little kid’s birthday party – it also celebrates different family structures, queerness, transness, polyamory, disability, and I’m just super proud of it. A: I need a lot of noise when I work. So when I sit down for the day to draw I pop my headphones on and listen to podcasts or tv. Shortland Street is my fave to draw to – I found a youtube channel that had put up episodes from around 2003 so I’ve been making my way through the last 15 years of it. It’s perfect because the plot is fairly slow (which means it’s ok when I don’t pay attention, because they’ll repeat it), it’s pretty light (so I don’t get pulled in to the emotions) and it’s just a great show so it keeps me entertained. A: Ohhhh, I don’t think I have just one – I’m really influenced by Alison Bechdel, she’s been exploring queerness and queer communities for decades, and her stuff is amazing, complex, and dykes to watch out for is eerily relevant to today. 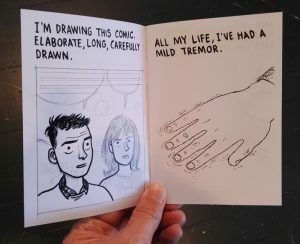 Other big comic inspirations for me are Erika Moen, Lynda Barry, Lucy Knisley, and I’m really loving Blue Deliquanti’s stuff at the moment too. But I get inspired by a whole host of other people too – people like Janet Mock and Laverne Cox, but also the queer and trans activist scene in New Zealand too – people in No Pride in Prison’s, the Gender Minorities organisation, the list goes on. A: I’ve been a big fan of Robyn Keneally and CocoSolid for years, when I stalked them both on myspace. 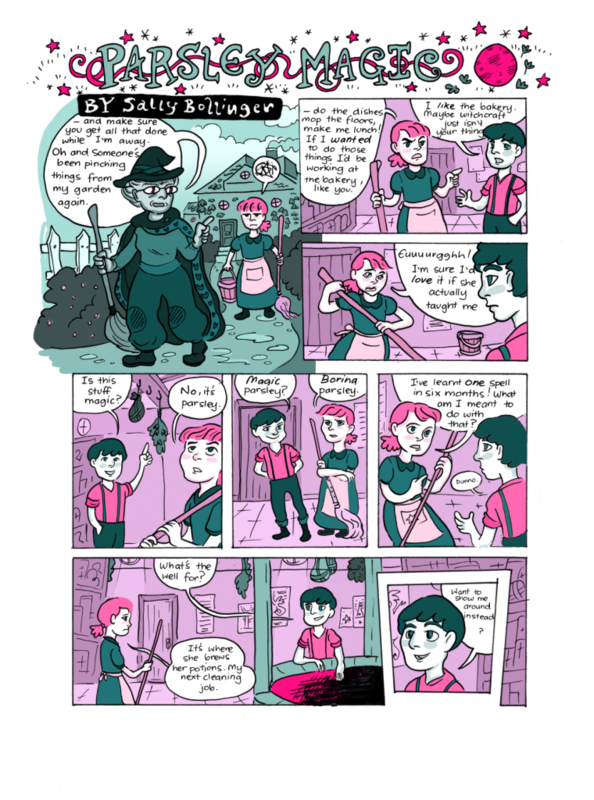 A: A few years ago I published the first three issues of my comic series ‘Family Portraits’ which is a series of short stories about queer and trans people in New Zealand. I’ve got the stories for the next book but I just haven’t had time to sit down and draw them. So that’s my dream right now – to get time and space to crack that next issue. 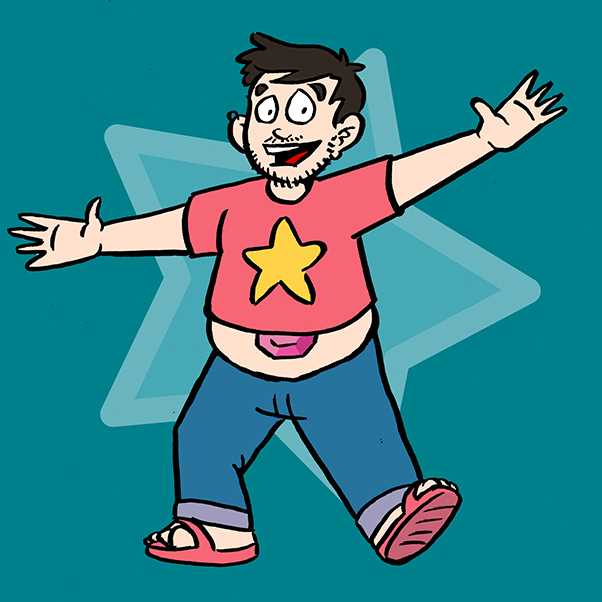 A: Steven Universe – he is my fave. Hannah Benbow is the cartoon librarian at the National Library. During ComicFest Hannah will be hosting a breakout session called From Where We Started: Reading NZ Comic History, to be held at the National Library. 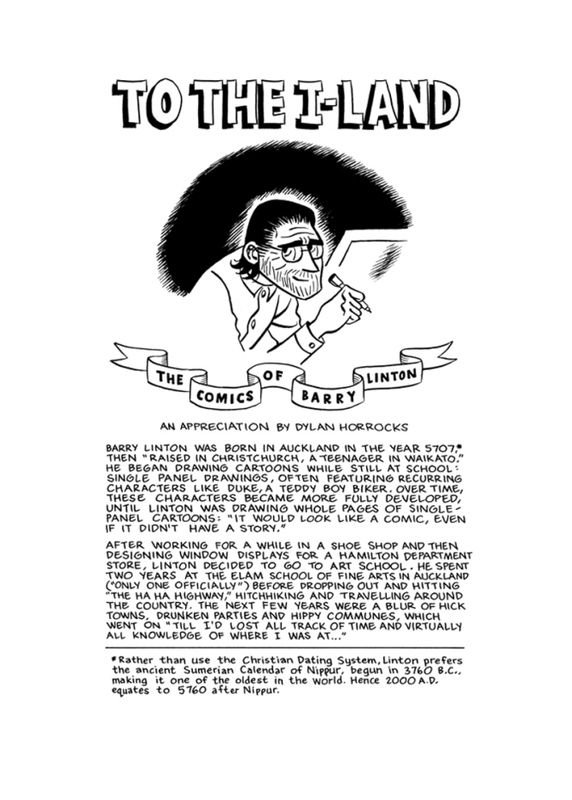 There, you’ll be able to look at all kind of archival NZ comic material, an opportunity you won’t often have the chance to experience. Hannah will also be moderating discussion at our last panel of the day, titled Should we all be writing political comics? featuring the likes of Toby Morris, Sam Orchard and Sarah Laing. It should be a fantastic end to a jam-packed day! Check out Hannah’s answers to our Q’s below. A: I’m a cartoon librarian, so my days are a mix of reading new cartoons as they come in, helping researchers to find cartoons and comics, and looking for new and better ways to promote and provide access to the NZ Cartoon Archive collection. A: Ludicrous likenesses: The fine art of caricature. An exhibition opening at the New Zealand Portrait Gallery in August and chock-full of amazing works by New Zealand cartoonists and caricaturists, co-curated by Dr Oliver Stead and myself. A: Anything that gets more people making and reading political comics and cartoons. 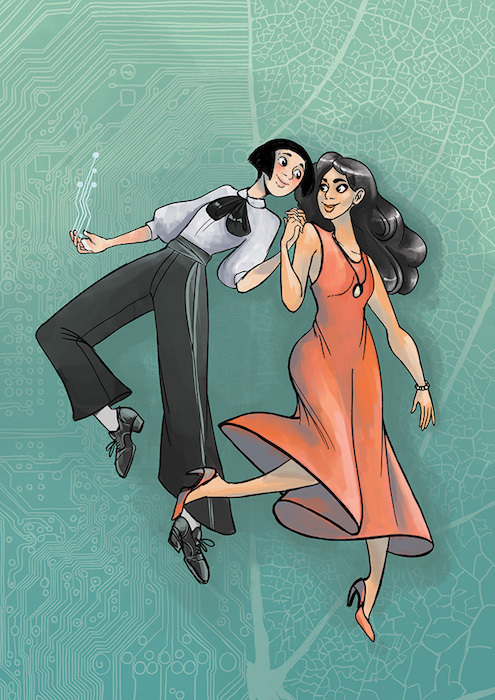 A: I’m excited to explore some of the older comics we have in the collection, and to share my favourite ever zine – Fission Chips. A: Mrs Tiggy-Winkle, to relive the greatest cosplay experience of my childhood. 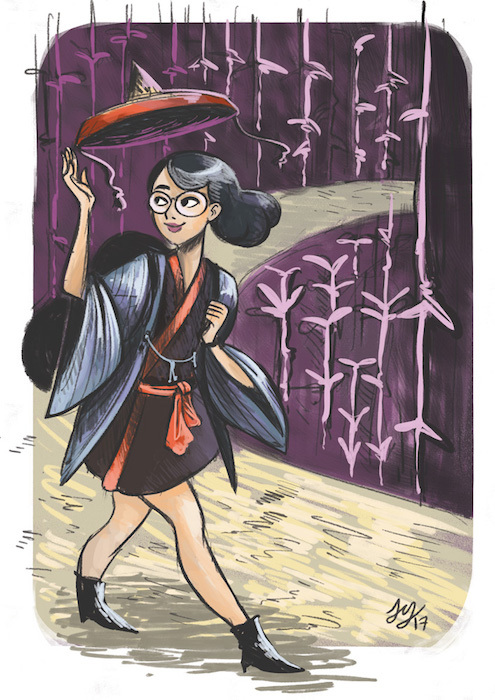 Jem Yoshioka is one of the featured cartoonists on our “A Wellington View: Local Cartoonists” panel, which will take place from 1:30-2:30pm during ComicFest. 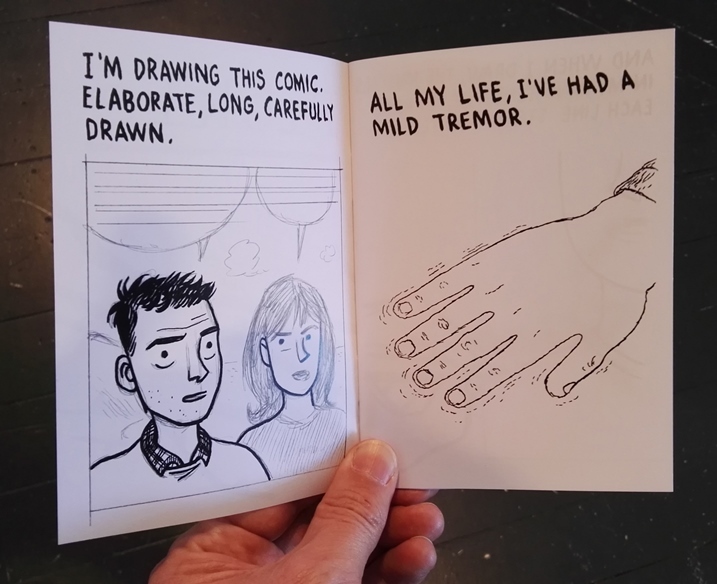 Jem is an illustrator and storyteller based in Wellington, and her comics often feature autobio stories. A: As a kid I was really interested in animation and picture books. I learned storytelling from a mixture of these two things, which seemed to distill into something kindof comic-y. 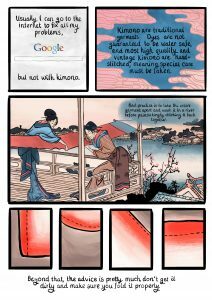 I got interested in making comics when I was a teenager, on the early 2000s internet. It seemed like the most efficient way to begin to share the epic fantasy stories that were brewing in my head. The internet shaped my adolescence. It gave me access to other artists – both peers and mentors – who really helped to drive my illustration and comic work forward. A: I have a day job, so I get up and go to work. This is awesome because it pays my bills and means I can eat and sleep, which are important if you want to make comics. I then tend to do 20 minutes of gesture drawing more or less as soon as I get home. Sometimes that’s all the drawing I do in a day, but other times I try and expand it out to an illustration or comic project after dinner. I’ll usually have TV on in the background while I work, and I aim to be in bed between 10pm and 11pm. Depending on the day that can mean between 1-4 hours of drawing. The routine is really important to me. I find I’m as productive if not more productive with full time work, because it forces me to maintain a healthy schedule. Sleep and time away from drawing mean I’m at less risk of injury, less likely to overwork or get into unhealthy sleeping and eating cycles. While my output is lower than someone working full time on drawing, I’m still really pleased with what I manage to get done with this routine. It works really well for me for now. A: When I get a new sketchbook I always write the date on the first page. Then when the sketchbook is finished I write the finish date. I’ll always leave a few pages at the end of the book, too. It’s like a hello and goodbye to the book. I feel like dating the first page helps to clear off any ‘blank page’ magic that might prevent me from getting my ideas down. The final date is a goodbye and a thank you for all the work and traveling the sketchbook’s done with me over the months. A: I think as a creator it’s important to have many influences and inspirations. I have a lot of artists I admire and whose work has influenced mine. I also love photography, video games, traditional Japanese printmaking, fashion, animation, film, fine art, dance and novels. I collect what I can together and pull the bits out that I feel work for me and what stories I’m trying to tell. I’m a selfish sponge of visual and literary information. If you’re looking for a specific name, the one that’s stuck with me ever since I was a teen is Shaun Tan. An Australian illustrator and picture book author, Shaun’s style of storytelling’s was definitely a huge influence on me as a kid, especially how he handled the relationship between words and pictures. His sense of timing, pace, composition, and colour have all had a huge effect on me. 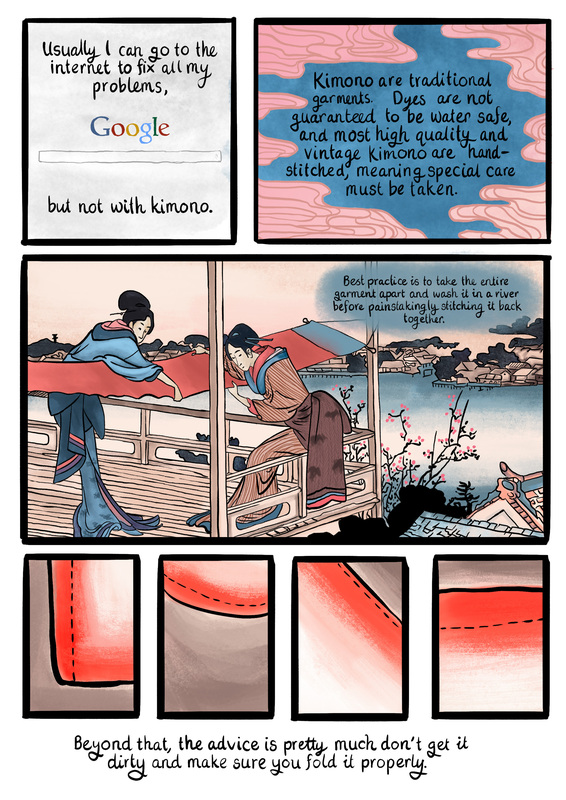 A: I really love Katie O’Neill’s work. Princess Princess Ever After is a cute and sweet story, and her new webcomic The Tea Dragon Society is building up in a really interesting way. Katie’s sense of colour especially draws me into the worlds she makes with her work. A: I’d really love to do a comic diary project over a year in Japan. I want to get familiar with a neighbourhood, learn its streets and trees and people. I want to live in a Japanese city and be small and lost, but find something there I wasn’t expecting. I’ve had holidays in Japan, but it’s the wrong pace and speed for the kind of project I want to make. I need something longer, something with more repetition and a chance to get comfortable and familiar. And I want to write it all down in a way I can share. But that might be more about spending a year living in Japan than the diary project part. 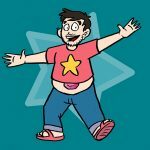 You can find all of Jem’s online comics at http://jemshed.com/comics/ and on social media. ComicFest is back for 2017! On Saturday May 6th at the Central Library there will be panels, talks and workshops all day long for comic-lovers of all ages. You can also pick up a free comic from us on the day and celebrate Free Comic Book Day, courtesy of GRAPHIC! Head over to the ComicFest Facebook event for all the details, and to receive event updates. 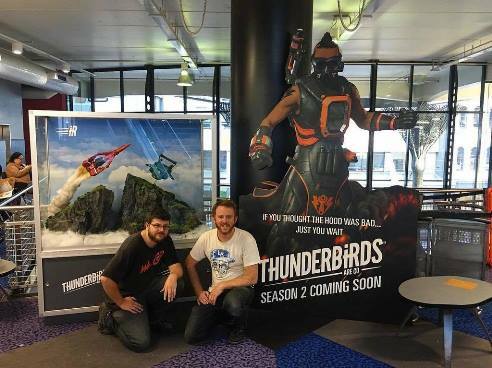 We’ve caught up with Ben Milsom from Pukeko Pictures, Production Designer and an Episodic Director on Thunderbirds Are Go! At ComicFest, Ben will be presenting the process of re-imagining the 1960’s classic for a new generation. Catch him from 11am-12pm at ComicFest – all attendees to Ben’s talk will go in the draw to win a family pass to the Miniatures Stage Tour: Thunderbirds Are Go from Weta Studio Tours! You can also pop in to the Central Library to see our amazing Thunderbirds Are Go display, courtesy of Ben and the Pukeko Pictures team! 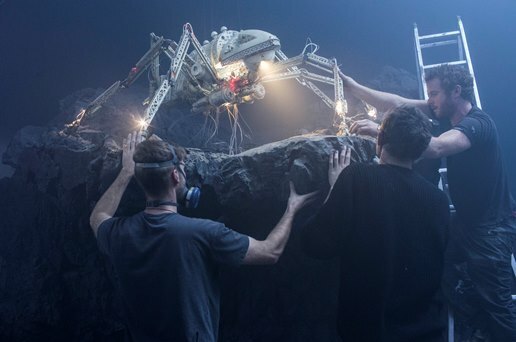 A: I have been involved with Thunderbirds Are Go for over 3 years now as Production Designer and an Episodic Director. Before, I worked on a western cowboy movie called ‘Slow West’ starring Michael Fassbender, being in charge of all of the actors hand props on set. Before that, I was on the Hobbit trilogy for 3 years as the main unit Art Director. Pictured: A uranium mine from the episode Crosscut. A: I have always been massively interested in the horror/scifi genre. The most influential film for me has been Ridley Scott’s ‘Alien’. It blew my mind as a 10 year old, and sparked my interest in film making, practical effects and ‘fantasy’ environment building. Parallel to this, I have always been fascinated by the work of HR Giger, and his uniquely original style and approach to Art and Design. Other influential movies for me have been: John Carpenter’s ‘The Thing’, Clint Eastwood’s ‘Unforgiven’ and Luc Besson’s ‘Leon’ aka ‘The Professional’ to name a few. A: Generally very busy. This year is great because I can focus solely on the Thunderbirds Are Go project. Plenty of meetings and prep work as we build up to the start of the shoot. As we start to build the season 3 sets, I will get a lot more ‘hands on’ and join the art department as we create the physical miniature world of Thunderbirds Are Go. I can’t help myself! A: We shoot live action plates, animate our characters (and many sequences). One thing I always do for every sequence, as we shoot it or animate it, is physically go through the beats of the action myself. I find this immensely helpful for timing and pacing of each sequence, dialogue notes and overall feel for a scene. The more reality and true emotion you throw into any scene, the more satisfying it is for me and hopefully our audience. A: I would love to re-visit the ‘Alien Vs Predator’ universe – and be involved in a darker, grittier Movie adaptation of some of the Dark Horse material. This could be SO AWESOME! 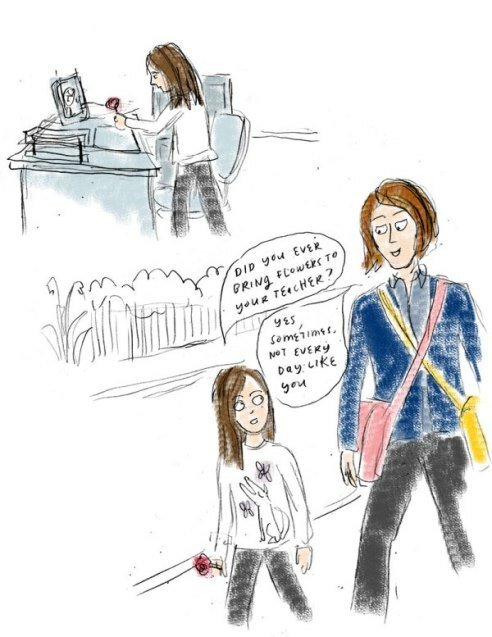 First up on the blog we have an interview with Sarah Laing, who recently authored her first graphic novel, Mansfield and Me. 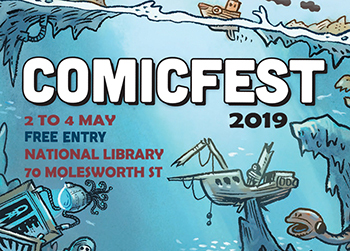 At ComicFest, Sarah is running a character design workshop from 10-11am, and from 12-1pm Sarah will be in conversation with Dylan Horrocks discussing how they each create longform graphic novels. It’s a super exciting line-up, and we hope to see you there! A: We always had comics at my house – the usual suspects – Tintin and Asterix, Donald Duck, Charlie Brown, Footrot Flats. I grew up reading them. My interest was rekindled in my 20s through Tank Girl and Julie Doucet, and later by Marjane Satrapi, coinciding with the rising popularity of graphic novels, a contentious term in comics circles! It did mean that there were more comics to get out from the library. A: I drop my kids off to school then I come home and mess about a bit – I tidy up and read stuff on social media, hating myself a bit as I do it. If I have paid work – an illustration or comics commission – I’ll work on that, or else I will draw comics for my blog or work on my big project, which right now is a kids’ comic about the houseboat and giant stingray world of post-climate-change New Zealand. I try to work on paper, since I spend too much time on screens, but I find myself using digital media all the time, whether it’s google images for picture reference or it’s spotify or my podcast list for stuff to listen to as I draw. 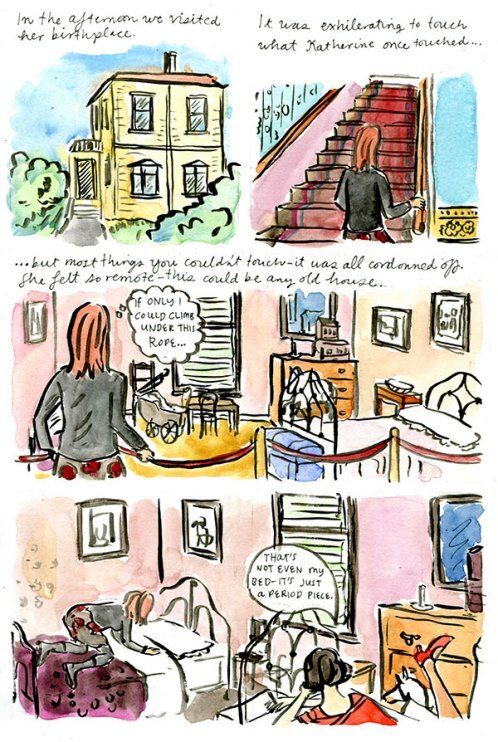 A: Last year my graphic memoir Mansfield and Me was published by VUP and I’m still recovering from that! It’s about me wanting to be a writer, and Katherine Mansfield, NZ’s most famous writer, and how our lives overlap. I like to think that Mansfield would’ve been a comics fan too. A: I always feel like I should have tea and toast at 10am and when I get to the inking/colouring stage I get to binge listen to podcasts. I just finished S-town, which is a fascinating character study of an ordinary/extraordinary life in small-town America. I am also driven by a completion complex so once I get momentum up I work quite quickly. I try to update my blog weekly now that I’ve got a Patreon page, and I generally dedicate Tuesday or Wednesday to those comics. A: My biggest inspiration is life, observed, around me. A: I hate picking favourites! And in fact I’m not sure if I believe in the concept. 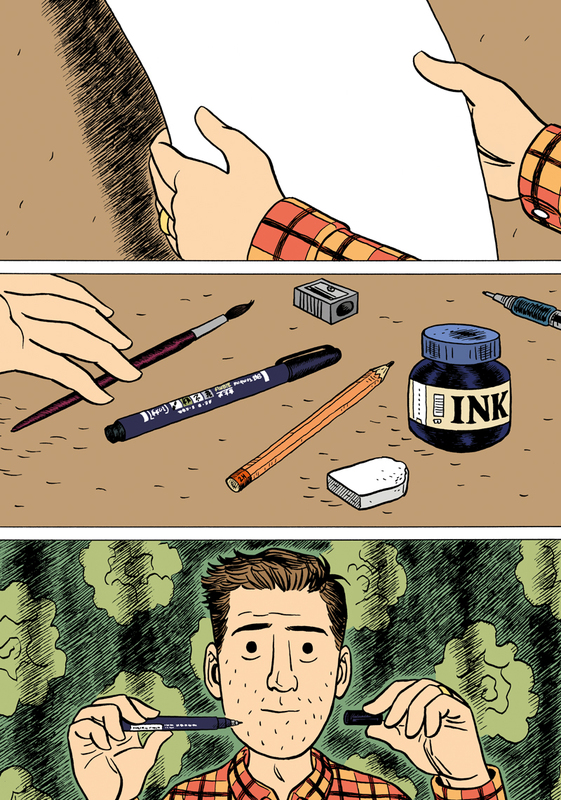 There are creators whose work I always really enjoy – the obvious ones, like Dylan Horrocks, Toby Morris and Ant Sang. When I was co-editingThree Words I got to know work by lots of amazing women – Giselle Clarkson, Sophie Watson, Jem Yoshioka, Sally Bollinger, Zoë Colling for starters. 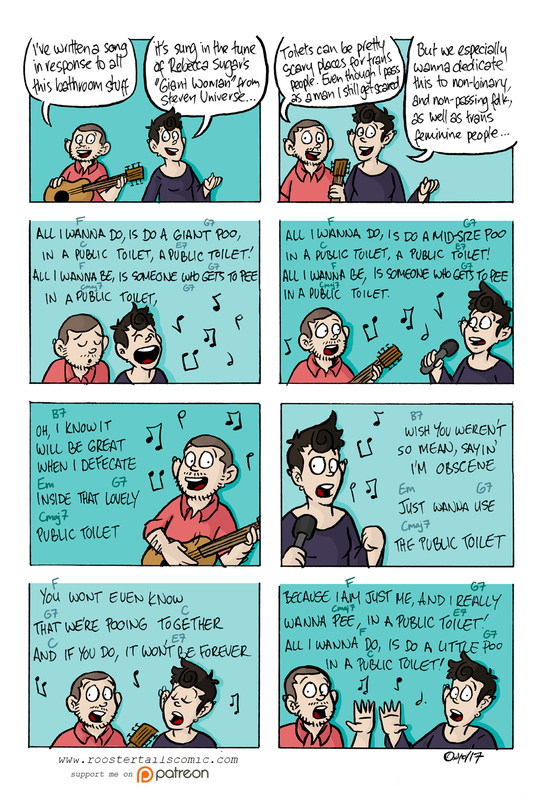 Indira Neville’s comics are always hilariously irreverent, and she’s just co-curated an amazing collection of LP-sized comics that go with music, Sonic Comic. Last year I enjoyed Ross Murray’s series about anxiety, Rufus Marigold. 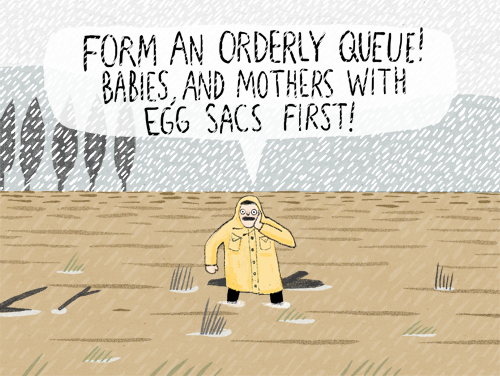 And Jonathan King’s comics are gloriously surreal. Arrgh! So many people! I’m missing people out! I always feel a low punch in the gut when I don’t see my name on a list. A: I have never collaborated on comics and I think I’d really like to try that out. You know how collaborations in music always work out better? Lennon and McCartney, Morrissey and Marr… I want to find somebody or something to spark off. A: I am really looking forward to talking with Dylan Horrocks about writing longform comics – his process is quite different from mine and I always find how to talks quite inspiring – they give you a fresh perspective on your niggling or roaring narrative problems. A: I don’t know, Björk? Or maybe Rachael from Blade Runner – she had the most amazing suits and hair. 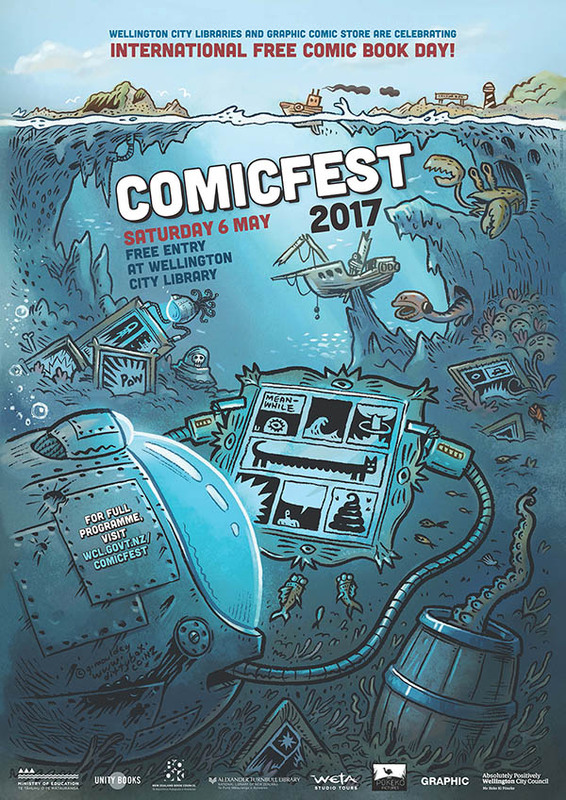 What’s on at ComicFest 2017? Love comics? 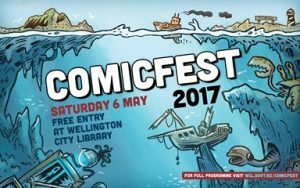 Come along to ComicFest 2017, Saturday May the 6th at the Central library. Over the course of its hundred-year history, the School Journal has included work from New Zealand’s greatest authors and illustrators. In recent times, this has included comics from the likes of Dylan Horrocks, Ant Sang, and Andrew Burdan. Visit the Central Library to view a few highlights, new and old, in the lead up to ComicFest. On Free Comic Book Day, come to the library and draw a comic story using just 4 panels and you could win an armful of comics! Feel free to come to Sarah Laing’s character creation workshop on Saturday morning for inspiration. Entry forms available from Central Library on the day. All ages and drawing levels welcome. Grab some free comics from us and chat comics with our librarians at the Central Library! Comics from all different publishers and for all age ranges are included in the selections, so there will be something for everyone. Thanks to Graphic for providing us with all the awesome free comics! Who’s going to star in your comic? A superhero, a cybernaut, a talking sausage or a kid like you? Come to this comics workshop and we’ll work on your character, from its backstory to the way it’s drawn. Bring your own pens and pencils, and we’ll have mountains of paper. Work on different expressions and poses, experimenting with line weight and form. We’ll put them in some tricky situations to see how their story plays out in panels. All drawing levels welcome! The Alexander Turnbull Library collects New Zealand’s documentary heritage and is home to a comic treasure trove. From early newspaper strips and children’s annuals, through to contemporary graphic novels and zines, the Library offers a window into this unique and fascinating part of our history. Join research librarian Hannah Benbow for a hands on look at almost a century of New Zealand comics. Ben Milsom, Production Designer and Episodic Director for Thunderbirds Are Go takes you through the process of re-imagining the 1960’s classic for a new generation. 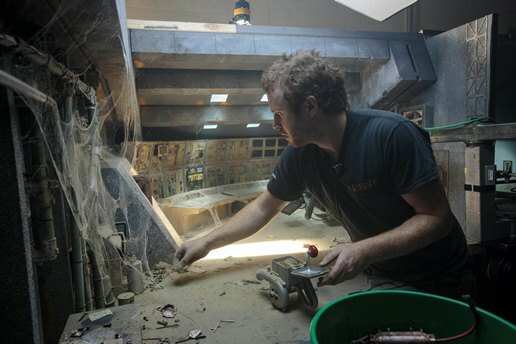 Ben will guide you through the unique production process of this multi-media (CGI animation with live action miniature sets) series paying tribute to the legacy of model locations from the classic series. 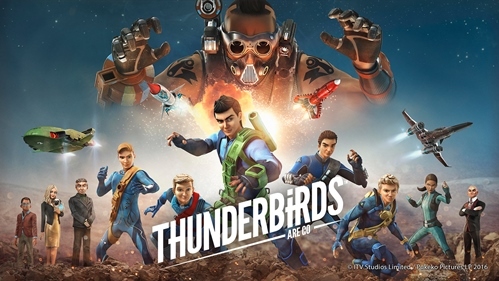 Ben will showcase the inspiration taken from the original series and discuss how Thunderbirds Are Go was brought to life in animation, toys and comics through slides and video and present an opportunity to have your questions answered with a Q&A section. All attendees of this presentation go in to a draw to win a family pass to the Miniatures Stage Tour: Thunderbirds Are Go from Weta Studio Tours. This informal, personal conversation will highlight the creative process involved in making a graphic novel, but also examine publishing, the graphic novel format and comics in New Zealand. Dress up as your favourite character for a shot at a comic prize! There are prizes for all categories, including children, teens and adults. What’s it like to be making comics in NZ? 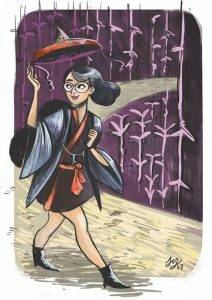 Join us for a discussion between local Wellington comic artists Jem Yoshioka, Giselle Clarkson and Sally Bollinger about their unique experiences making comics about life, nature, tradition, culture, and doing all this from Wellington. Gather up your comics (or that graphic novel plan) and bring them along to the Central library for a sit-down chat with Dylan. This is a chance to examine your ideas and process, to share ideas and techniques and to take things to the next level. Limited to 10 participants. Email at enquiries@wcl.govt.nz to book your place. 3.30pm–4.30pm | Panel: Should we all be writing political comics? In spite of their subject matter, artistic responses to Trump and the current political climate have been witty, elegant, colourful and empowering. Join a group of panellists including Sam Orchard and Grant Buist to discuss how they have responded to recent events in their work, and the ongoing power of comics to satirise and protest. Panel discussion moderated by Hannah Benbow. All events are free and unless stated open to participants of all ages.